So I was paging through Delicious by Sophie Gray trying to find something nice but cheap to make that I hadn’t made a million times before. I saw a bunch of things but I did notice that her recipes for empanadas and samosas were quite similar – unsurprisingly I suppose, since they’re both basically “pastry stuffed with a potato-heavy filling”. Neither of them were quite what I wanted but I thought they’d be quite nice if I put them together so I did and here you are. If you are a publisher of cookbooks, or think you might be one day, can I address you for a moment? When indexing your cookbook, you of course should index by both title and main ingredient. Delightful. However, can I suggest that when you index by title, you also index by what the food actually is? When I am looking for samosas, it is going to take me a very long time to figure out that they’re actually under “c” – for “crispy baked samosas”. Ditto empanadas – under “s” for “savoury sausage empanadas” – and Irish stew – under “slow-cooked Irish stew” (this was particularly difficult to find because while samosas were under potato, and empanadas were under sausage, I actually had no idea the key ingredient of Irish stew was lamb). Serves four or five depending on how hungry everyone is. Although Sophie thinks they serve six. 1. 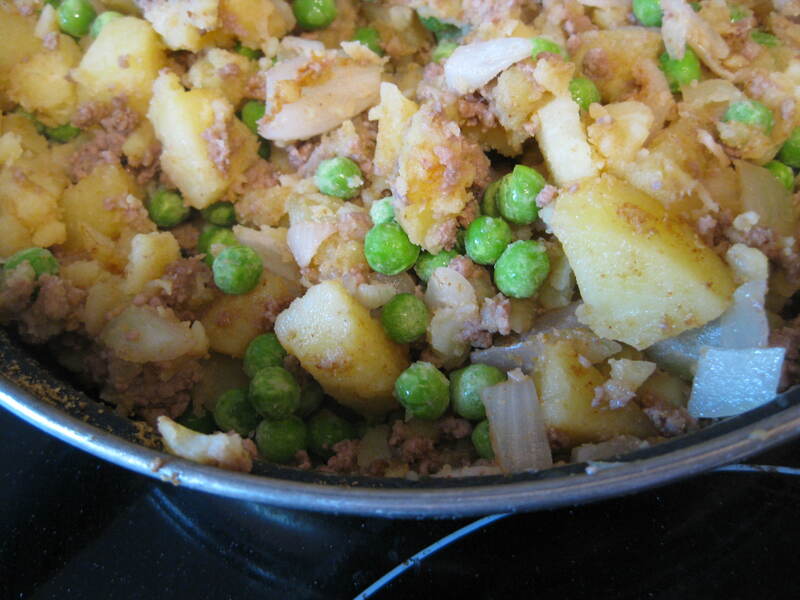 Preheat the oven to 180 C. Boil the potatoes in salted water until tender, and drain. 2. 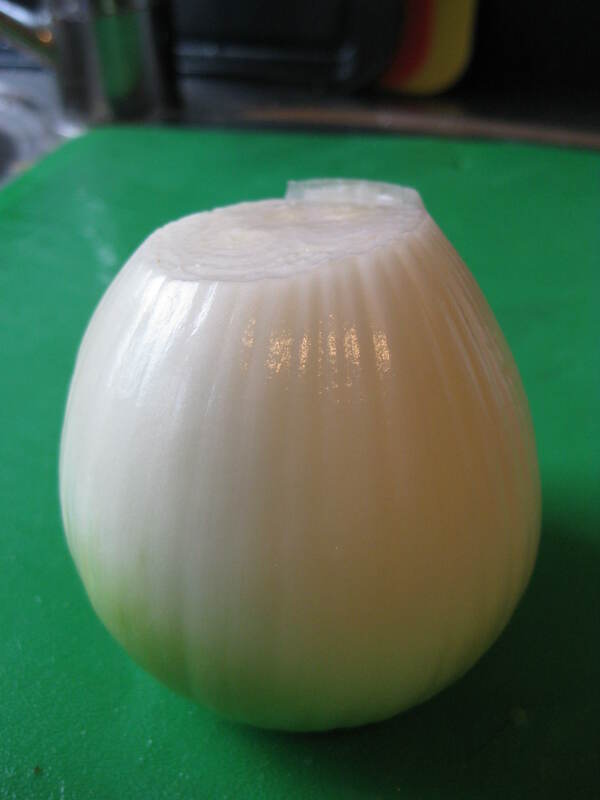 Meanwhile, heat the oil in a pan and fry the onions until translucent. NOTE: I used powdered spices, but if you’re going to use whole coriander and cumin seeds, add them to the heated oil before the onions. 3. 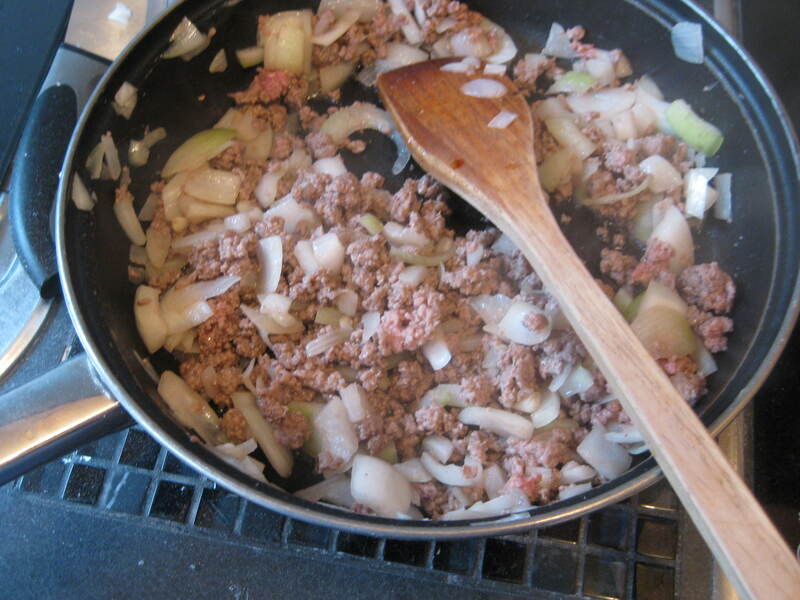 Add the mince and fry gently until brown but not dry. 5. While it cools enough to handle, make the pastry. Sorry, I took a million photos of the boring cooking bit and none of the slightly more tricky pastry bit, but I’m pretty sure you all know how to do this anyway. 6. 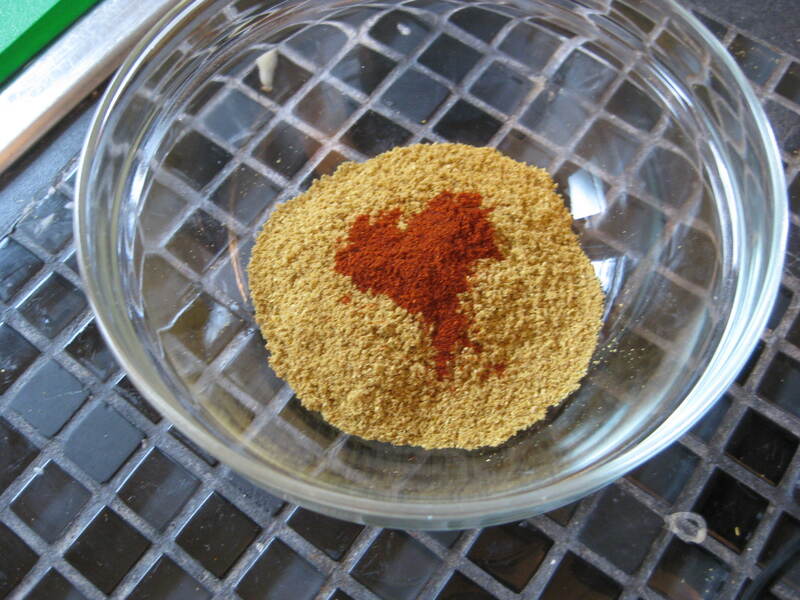 Rub the butter into the flour, or use a food processor or pastry blender until the mixture resembles breadcrumbs. 7. 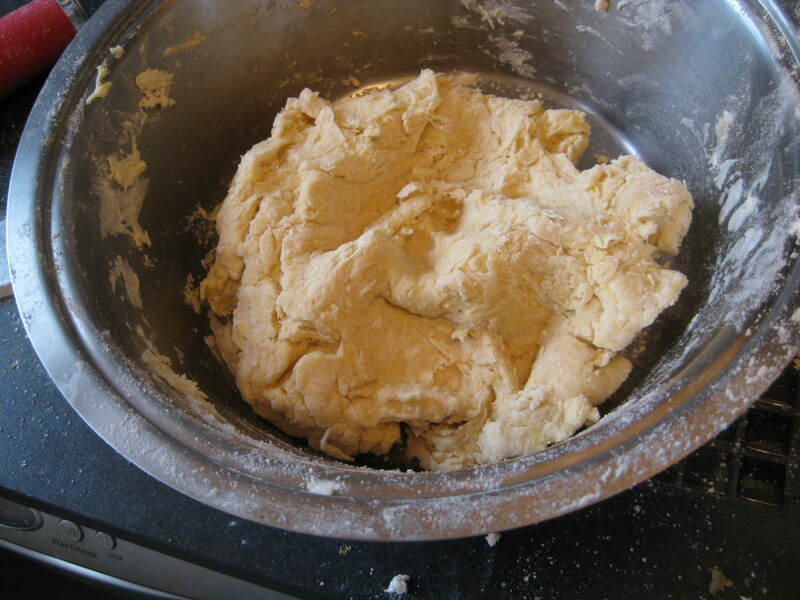 Slowly add just enough water to form a soft dough. Okay, I took one photo. 9. You have some options when it comes to rolling your pastry out. You can either roll out one big sheet or a couple of big sheets and use a plate to cut out circles, or you can divide your pastry into eight to twelve evenly-sized lumps and roll them out into circles by hand. I did a bit of both and I can’t say I thought either came out differently, although I am a pretty crap circle-roller so that affected some things. The size of the plate for the first method doesn’t really matter. Sophie said a bread and butter plate (actually she said 19cm in diameter) but I don’t see any reason why you couldn’t use a saucer and have wee ones, or a dinner plate and have as-big-as-your-head ones. 10. As you roll them (trust me, you do not want to stack these up and then try to peel them off each other), place the circles on a greased baking tray. Brush the edge of one semicircle with a little water, then pile a good wodge of filling on that semicircle, leaving the edge clear. Lift the other side up and over the filling, pressing the edges together – I crimped most of them the way I would crimp dumplings, but I have to admit that the ones that I simply pressed down on using a fork looked nicer. 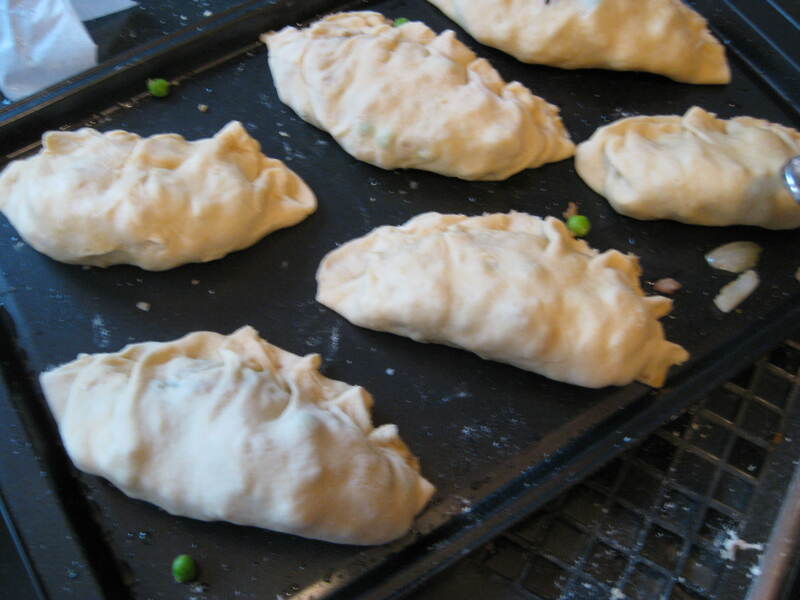 You could also do the fancy Cornish pasty twist if you know it. 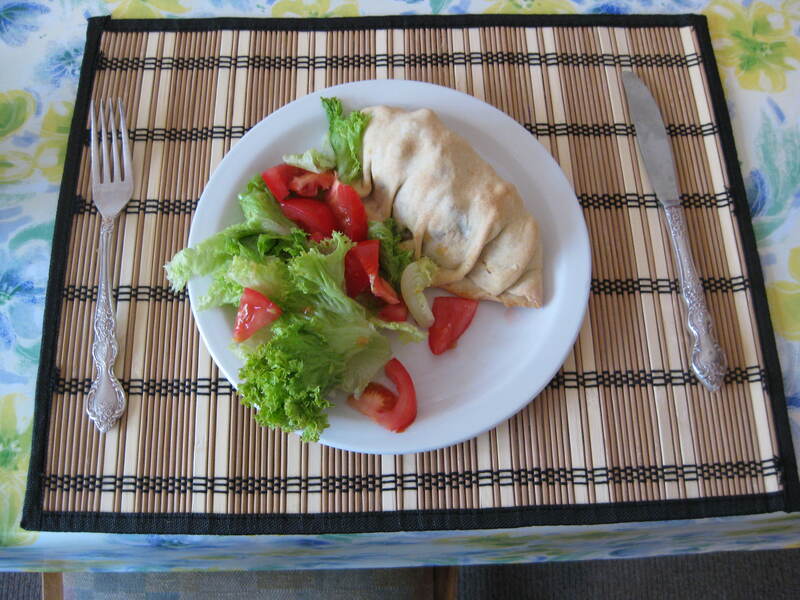 As you can see, I don't know the fancy Cornish Pasty twist. I have to admit that the ones I sealed with a fork are probably a little nicer looking than the ones I folded together. 11. When everything is all packed up (you might have extra filling or dough, I just managed it by making one pastry super-sized) and laid out on greased baking trays, bake for 25 minutes or until they go a little brown and crispy. I didn’t egg wash these because she didn’t call for it, but I would if I did it again – make ’em nice and brown. Milk would do the same trick if you don’t want to waste a whole egg. 12. Serve hot with a salad. You don’t get a picture of the insides because I had run out of turmeric and so my filling looked, to be honest, like grey wet washing, but with turmeric yours will look beautiful, I bet. These are great for lunch the next day, too (although the pastry, unsurprisingly but regretfully, did not stay crisp after spending the night in the fridge & being heated in the microwave). I did not try this, but I imagine that you could freeze these uncooked and bake to defrost, or nearly-cook them and freeze them and bake to reheat. Plus, this filling is very accommodating – you could go all cornish pasty and do it with carrots and swedes, leave out the meat (although then they’re basically samosas), use different spices, whatever, you do you, to steal a line from Autostraddle. Trust me on this, replace the teaspoon of coriander with whole coriander seeds. Soooo much tastier when you hit a whole one. 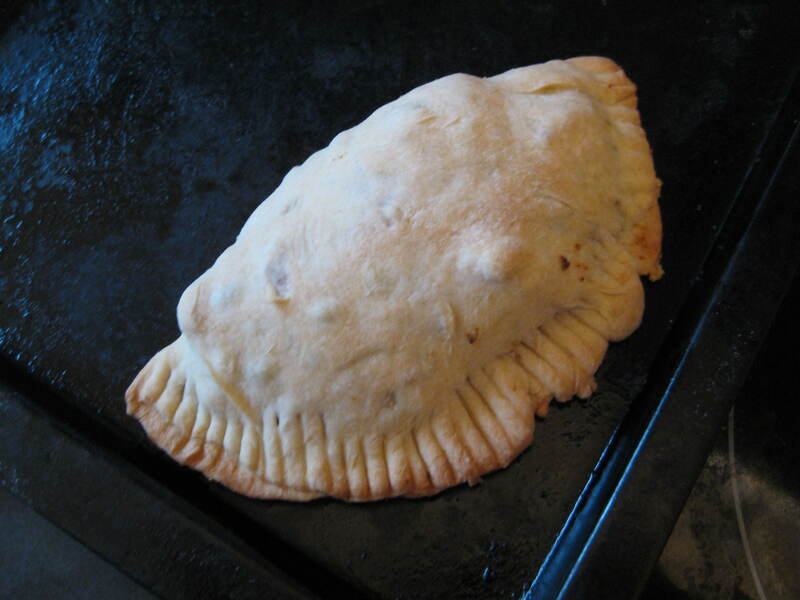 In my family we freeze ’empanadas’ cooked and reheat them in the oven for crispiness. [reheating pastry in a microwave is anathema]. Although they never taste as good as just-made they are still pretty amazing. 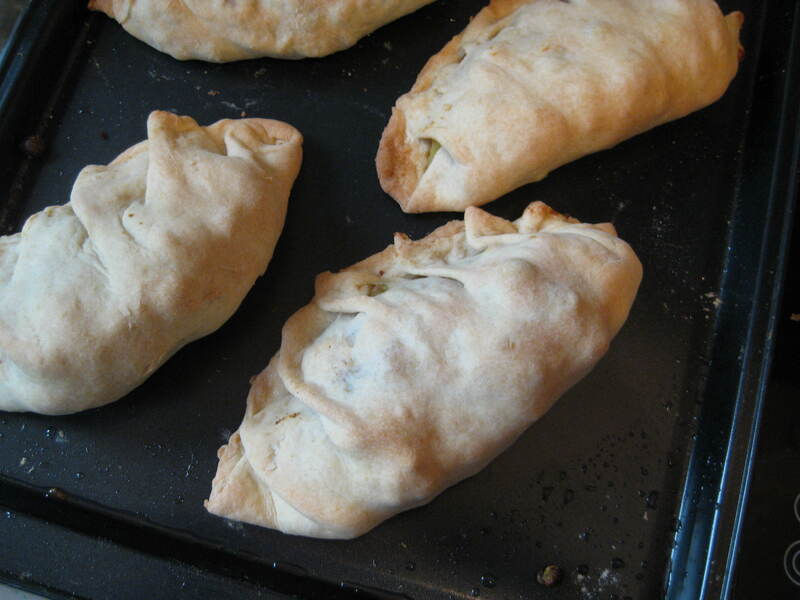 Of course, Argentinean empanadas do not have whole potatoes, which I believe don’t always freeze well. The basic recipe is fried onions and friend red pepper, spices + either 1) cooked mince beef, 1) cooked 2) chicken, 3) canned tuna. But there’s an almost infinite number of filigns, including one with corn and white sauce. 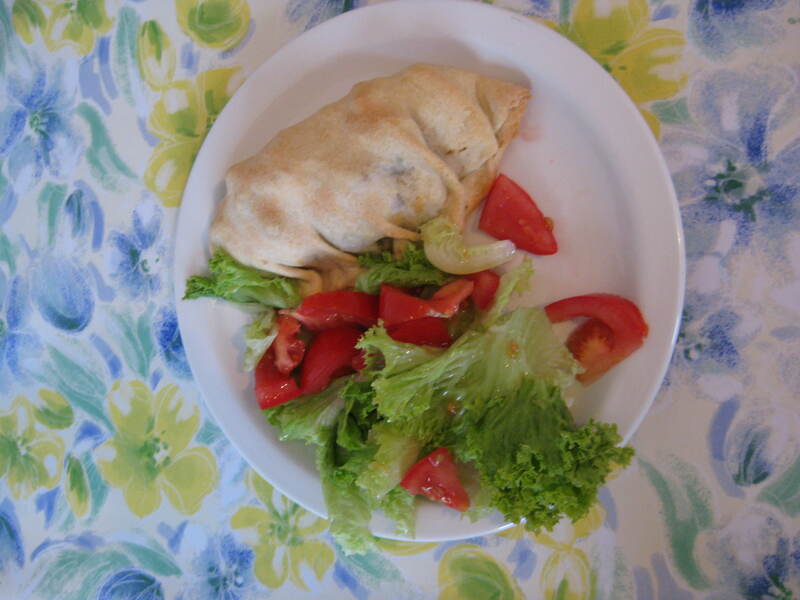 I was quite impressed you made the dough yourself, we’ve been using puff pastry for it instead for years (puff pastry is one of the varieties of ’empanadas’ but not the regular one). On the other hand ,there’s a dish called ‘varenikes’ which is empanada pastry filled with a mashed potatoes and fried onion mixture, then boiled for about 2 minutes (think ravioli) and served with more friend onions on top that we do freeze raw (that is, the pastry is uncooked) and with those it’s impossible to tell the difference so your idea might be better. This article is very interesting but I see that you are not using the full monetizing potential of your blog.